Nursing homes should be a place for the aging population to live the remainder of their lives or rehabilitate from illness or injury with as much comfort and care as possible. A good nursing home, in Rhode Island or elsewhere, makes its residents feel safe, ensures a healthy diet and lifestyle, and provides treatment customized to each resident’s medical conditions and situation. In Warwick, Providence and throughout the state, these homes can provide a better quality of life while bringing happiness and comfort to the elderly, one of our most vulnerable populations. Unfortunately, nursing home neglect and abuse happens all across America, and the physical and emotional toll can be devastating. Many nursing homes do not provide the proper care, but it is often difficult to see these problems before moving into a long-term care facility. 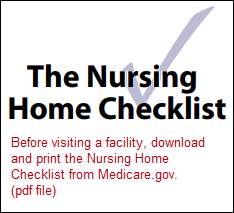 There are laws and regulations about proper care in nursing homes. It is important to hold nursing homes responsible to keep residents safe. While the harm to a senior often cannot be fixed, legal action could prevent it from continuing to happen and protect others from future harm. Leone Law, LLC, provides experienced representation through a deep understanding of the laws and various types of nursing home abuse and neglect. Anthony keeps folks up-to-date on nursing home news and safety issues in his quarterly email newsletter. Click the links below to view PDF files of past issues. Click here to be added to our newsletter email list. We promise to respect your privacy by not sharing your address with anyone. As a caregiver or loved one, making the choice to put someone you care about into a nursing home can be emotionally draining; admitting they need more help than you or other family can provide is not easy to come to terms with, but getting the right care for your loved one is the priority. While this is a difficult decision, there are public resources available to investigate long term care facilities. For example, Nursing Home Compare through www.Medicare.gov provides a wealth of information about nursing homes that accept Medicare or Medicaid. Nursing Home Compare provides ratings and quality of care information about long term care facilities throughout the country. You can find checklists that provide important questions to ask facilities before choosing a facility. Once the choice is made, a lot of trust is put into the skills and experience of the long term care facility. When you find a home that suits your loved one’s needs, you should feel comfortable and confident that they will get the best possible care and treatment available. While you may think you have found the best home and your loved one is safe from harm, elder abuse and neglect happens to an estimated 1 to 2 million people over the age of 65 in the U.S. alone. This is a staggering amount, and a personal injury lawyer can help when a loved one is harmed and give a voice to victims. Nursing homes residents can be extremely vulnerable; some do not even know that they are being mistreated because of existing medical conditions, while others are afraid to speak out and do not know how to defend themselves. Those who are unable to identify the harm being done must depend on others to look for signs. 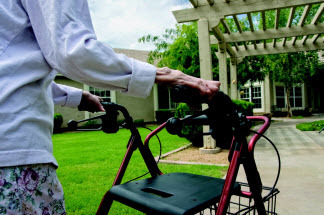 There are both national and state laws that nursing homes must follow. These laws are in place to protect residents from harm but they can not completely prevent mistreatment. When these rules are not followed, the law gives the resident or the resident’s loved ones grounds for legal action. An attorney who has the knowledge and understanding of these laws is vital to hold those accountable for their actions. By choosing Leone Law to represent your case, you can be assured there will be a thorough investigation, receive experience with an in-depth understanding of abuse and neglect, and dedication to provide a high standard of legal care and protection. Whether the harm is large or small, nursing home neglect and abuse should never happen, but it does – even in some of the most prestigious and well-known facilities across the country. The causes can vary, from the facility being understaffed or mismanaged, to the hiring of someone with abusive tendencies or who is a sexual predator. So many factors contribute to neglect and abuse, and often a combination of factors lead to mistreatment. It is important to report any mistreatment of a nursing home resident. In many cases, the person being harmed is unaware of it but this does not justify mistreatment. No matter who reports it or how the signs are recognized, reporting neglect and abuse will help prevent it from happening to others in the future, and hold those liable. There are state organizations that can provide support and assistance to the victim and their family. In Rhode Island, the Alliance for Long Term Care is the designated state Ombudsman under federal law. The Alliance can be reached at 401-785-3340. Other resources include Rhode Island Adult Protective Services, the Rhode Island Attorney General Elder Abuse Unit and Rhode Island’s Department Of Health Assisted Living Services. On top of the assistance from these organizations, a personal injury attorney can take legal action against those responsible. Contact Leone Law for experienced representation. The information on this website does NOT create an attorney client relationship. The information contained herein is NOT intended to be legal advice upon which one should rely. Each individual client and case presents a unique situation that requires an independent legal analysis. 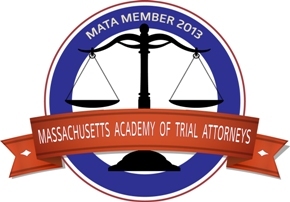 Rhode Island only licenses attorneys in the general practice of law and does not have a procedure for certification in a particular area of specialization.